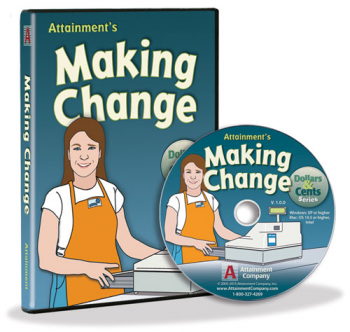 Making Change is Attainment's most advanced money software program. Revised with new money graphics and scanning capabilities. Users act like a store clerk, entering purchases and giving back change. Making Change randomly generates hundreds of purchasing situations, each time showing an amount due for the purchase. 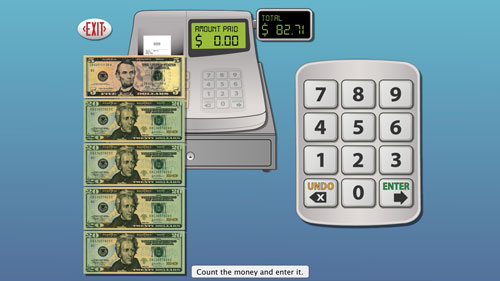 Users then count money given for payment and enter the value on the keypad. The "cash register" then shows the change due. 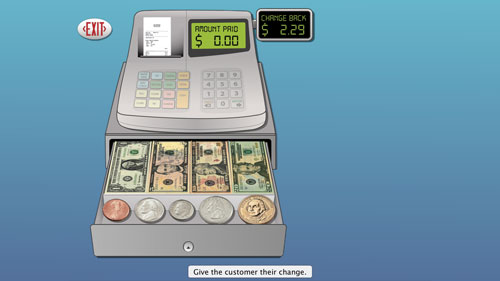 The "cash drawer" appears and the user gives back change, just like a real store clerk. This software makes an excellent vocational training and applied math program. United States and Canadian currency is included. 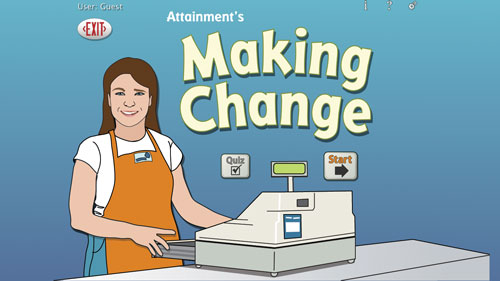 Making Change is part of our Dollars & Cents Software that also includes Counting Coins and Spending Money.